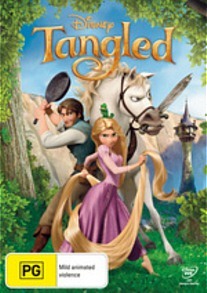 Tangled is a retelling of the classic fairytale ‘Rapunzel’ by the Brothers Grimm although with some major changes to the original story. In this version Mother Gothel maintains her youth by singing to a flower born from a drop of sunlight. This flower is taken by the King and his men and used to restore health to the pregnant Queen who is near death, saving both her and her unborn child, Rapunzel. 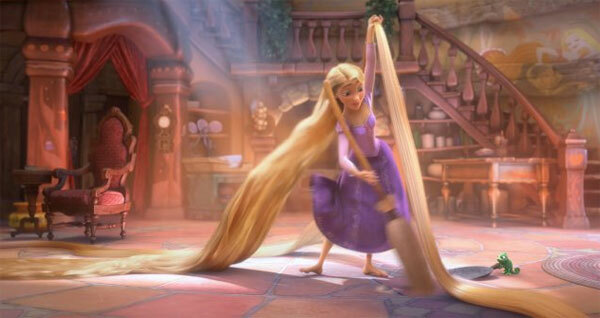 Mother Gothel then kidnaps the child Rapunzel from her loving parents, and raises her as her own, upon realising that the child’s hair contains the magic properties once contained in the flower. 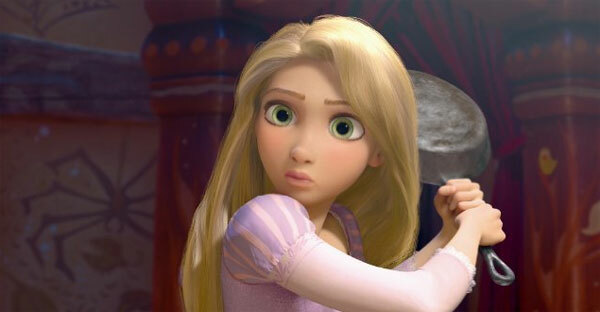 It is here that Rapunzel stays until the thief Flynn Rider climbs the tower to hide from the palace guard. From here Rapunzel sets out to watch the lanterns that are released every year on her birthday, lanterns that are set off for the lost princess. This description sounds dry and stereotypical but this DVD is light, refreshing and on the whole, an original reimagining of the classic story. The opening line to the film is “This is the story of how I died.” I was quite shocked to hear that at the start of a sanitised Disney film and even more shocked when it actually delivered on that promise, I even became a little upset towards the end. 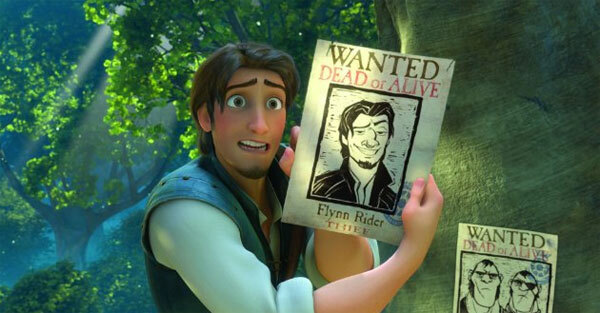 Tangled is a well written film, the jokes are snappy and fast and I found myself laughing out loud throughout the majority of the film. The jokes aren’t just for children, though they don’t match Shrek for jokes that cross the generation gap. Adults will find it pleasurable and amusing to sit with their children and watch this DVD and of course, being a film made for children, they will love it. There are a few instances where the film does conform to our expectations, the last 5 minutes for instance, were overly sentimental and gives the film a typical “happy ending”. This is slightly disappointing, as Toy Story 3 showed us, children’s movies don’t need to be so light-hearted, they can contain ‘adult’ themes. Otherwise the only complaint I have about this film is the somewhat lacklustre songs that the film is populated by. For instance ‘When Will My Life Begin’ won’t ever make it onto a best-of list for Disney songs. ‘I See The Lights’ is the main song for this film, one that nominated for an Academy Award, and yet even this is below par for Disney films. I mean it just doesn’t compare to any of the songs from The Lion King, Aladdin or even Beauty and the Beast. There are only 3 special features on this DVD, the first being two different alternate beginnings for the film, which are both quite interesting to watch as you can see how the opening developed and the basic drawings. The second is a compilation of the 50 animated feature films that have been produced by Disney. This is nice for an adult as they can pick all the films they have seen as children, or even with their children. It is the third special feature, however, that I find the most perplexing. It is the video clip for the main theme song for the film, sung in Czech. Now I love a good foreign video clips but this didn’t warrant being added as a special feature. I can’t imagine that any child will want to watch it and unless you’re a huge fan of the song I doubt anyone else will want to listen to it sung in Czech.